Regardless of sport, class, gender, league, gym size or any other nouns, adjectives, verbs you can come-up with it’s always a big deal when number one versus number two get together for any sporting event. It’s even better when the billing lives up to the buzz and over delivers on the hype. Recently, for Canadian University basketball enthusiasts #1 vs. #2 has quickly become synonymous with one of the fiercest and most exciting Canadian sporting rivalries. 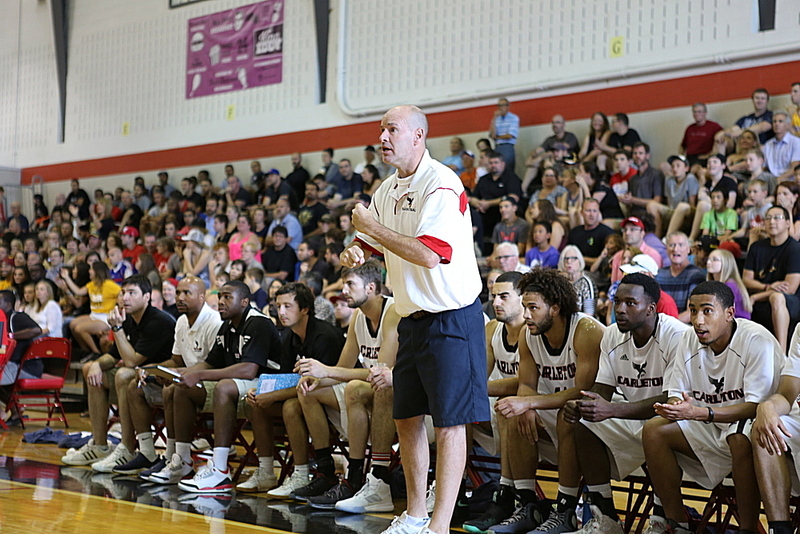 Pitting the undisputed kings of Canadian Basketball, the Carleton Ravens against the emerging two time reigning national finalist Ryerson Rams. Bill it up as Rana versus Smart or call it the 613 versus the 416, or for political heads, Queen’s Park not getting along with Parliament Hill. Ottawa, Toronto have a long standing history of rivalries from the NHL’s Leafs/Sens to the CFL’s Redblacks/Argonauts and now we can safely add the Ravens and the Rams at the U Sports Basketball level. Like it or not, the Ryerson Rams have emerged as the unlikely Toronto university to dethrone Carleton’s long standing basketball dynasty. Mixed in the shuffle of Canada’s largest sports and entertainment market are three, soon to be four, Greater Toronto Area (GTA) universities, responsible for providing Canada’s long standing code of academics over athletics. The York Lions, The Toronto Blues alongside Ryerson and newcomer, University of Ontario Institute of Technology (UOIT) Ridgebacks make-up the GTA’s U Sports landscape that is eager to carve out their own niche and grow their respective brands. Similar to the transformation of the Carleton Ravens with the 1996 hiring of Dave Smart, the Ryerson executive brass formulated their own blueprint for success, beginning with the 2009 hiring of Rana with visions of “starting from the bottom and now we here”, like Toronto’s own Drizzy Drake did to the music game. At the helm now for his ninth season, it’s fair to say that the foundation of becoming a national powerhouse and regularly competing for national championships is nearly complete and clearly resonating with current players. As evident when speaking with point guard Myles Charvis who transferred from Waterloo to Ryerson two years ago and is now being touted “as an extension of his coach” on the floor. Charvis alongside senior forward JV Mukama and the rest of Rana’s troops were responsible for orchestrating and putting an end to yet another long standing Ravens streak — beating Carleton 78-74 to end their perfect (28-0, 17-0 conference) start to the season. Ryerson also beat Carleton 84-76 in a thrilling 2018 national semi-final, snapping the Ravens 27 game winning streak, while also ending their seven year grip on the National title. “If it wasn’t for Myles Charvis we are not in this position. He has been everything we hoped for in a point guard — extension of a coach, I’m happy to call him that for me. He’s the engine of the team and arguably our most valuable player, when he’s going he controls things and he was great again today and he was great when we played them at home.” Alluded Rana about his starting point guard. Mukama buried his 25 point of night on a deep go ahead three-pointer with 33 seconds left to put Ryerson ahead 75-74, completing Ryerson’s comeback in front of standing room only Raven’s nest in Ottawa. Charvis added 21 points, 6 rebounds, 5 assists and 2 steals in the victory. For Mukama, a senior that has been apart of several thrilling battles between the two teams it was just another regular season victory on their way to their ultimate goal. As for Rana, a win over Carleton is always a big win, specially in their building, but ultimately he’s also glad his star player is getting some well deserved credit. “He’s arguably the best player in the country now, with what he can do on the glass and his length, he can make three’s, he can play point at 6’8″, he is a unique talent in our league and I’m just really glad that he is finally expressing that at highest levels.” spoke Rana on defining his star players growth under his watch. Rounding out Ryerson’s win were key plays from Yusuf Ali (12 points, 5 rebounds) and Tanor Ngom with 8 points, 8 rebounds and a disruptive 6 blocks. Carleton was led by double-doubles from standouts Eddie Ekiyor (21 point, 10 rebound, 3 blocks) and TJ Lall 16 points, 10 rebounds and 5 assists. Isiah Osborne hit some big shots and finished with 17 points, 6 rebounds and 3 assists. The Rams limited Carleton to just 6-of-27 shooting (22.2%) from downtown including just two second-half three-pointers after hitting four-of-five in the opening quarter. The two teams split the season regular season conference series at 1-1, however, despite the Ryerson win, Carleton managed to cling on to the points tie-breaker advantage thanks to their seven point, 76-69 win in Toronto. With just five conference games remaining and barring any upsets, and should both teams finish with similar conference records, the tiebreaker could be the determining home-court factor. With a 2-0 weekend sweep of both Ottawa teams, the Rams will leap the Ravens in the rankings polls taking over the number one spot in the country for the first-time since Feb 1 2016.